Baby blanket patterns make a type of bedding intended to keep a child warm, especially while sleeping, but it usually ends up meaning so much more. They become a great source of comfort for young children, something that is kept as an heirloom even after the child grows out of the need to have it with him or her on a regular basis. There's nothing like a homemade baby blanket that is crocheted, given with love and cherished forever. 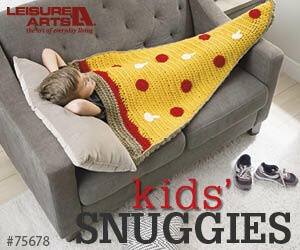 Throw blankets are smaller blankets, often in decorative colors and patterns, that can be used for extra warmth outside of bed. 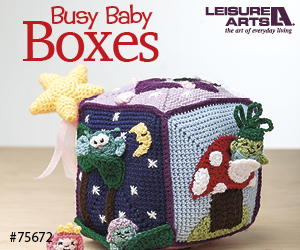 Crocheting – it’s the art of creating fabrics from threads, yarns and other materials using a hook. It’s thought that crocheting was developed around the 1800s. However, some folks believe that the art existed much earlier than that and in the areas of the Americas, Arabia and China. Crochet is done by creating a slip-knot loop and pulling another loop through the initial loop. This process is repetitive until a chain has been made. Patterns are created by hooking loops together. Now, one popular crochet variety is known as the afghan crochet. This type of crocheting also goes by the name Tunisian crochet and is an elongated hook that’s equipped with a stopper on the end where the handle is at. Using the afghan crochet method, the rows are done in two halves. Unlike other kinds of crocheting, the afghan crochet pattern is never turned. Once you begin your starting chain, the starting row is complete by inserting your afghan hook through it. This will pull the loop from the yarn and places the hook inside the next chain. This is completed by never taking the loop off the hook. Once you have finished a row, you’ll have the exact same number of stitches and loops across. For the other part of the row, the loops will be worked off the afghan hook. There are quite a few baby blanket patterns you can get. Every pattern has a personality and technique with it. Want some free baby blanket patterns you can use? Don’t look any further than right here! This pattern is designed to be used on baby fabrics. It’s easy to create and can be completed in mere hours. Colors can be altered to fit the parents’ needs. It uses the granny square pattern, meaning you must do one round blue and six round of white. These are put together into a checkered pattern. A whip stitch can bring these squares together. A small blanket should be the end result after the squares are all joined. 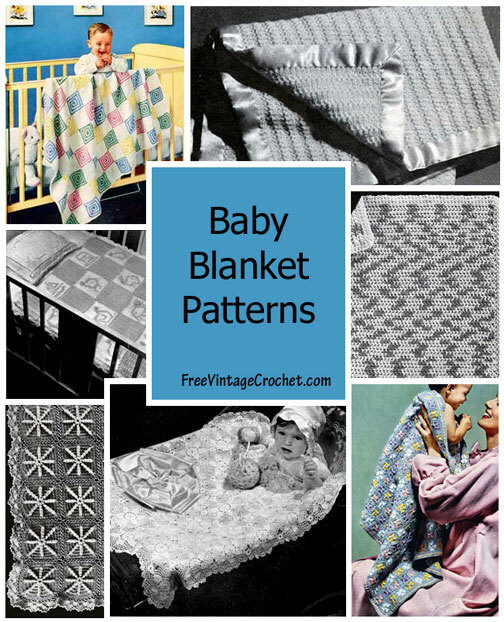 There are all kinds of baby blanket patterns you can use. 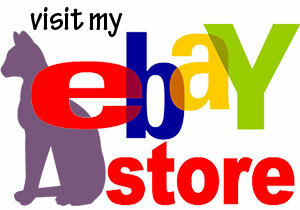 You can either purchase books on the subject or use the Internet. Most folks tend to use the Internet, as it is much more resourceful. The Internet has a number of resources on crocheting along with afghan crocheting. Many sites have pictures and step-by-step instructions to help you develop your afghan crochet project.